I’ve written more than 70 plays, 40 of which have been staged in virtually every theatre in Russia, CIS (the Commonwealth of Independent States), the Baltic states, eastern Europeen countries, China, Japan, Germany, Scotland, Israel. The list of theatres (not yet complete) is available here (in Russian). Since 1997 I have enjoyed first place measured by quantity of shows and spectators (Source “Modern drama” - “Sovremennaya dramaturgiya” journal). 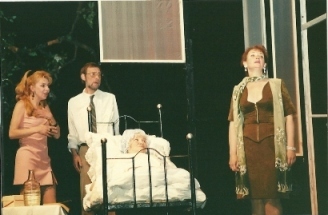 Some of my shows have run for more than ten years (example “Rojdestvenskie grezy” – “Christmas dream” – following my play “While she was dying” in the Moscow Art Theatre). As a film director I have also completed three full-length films. 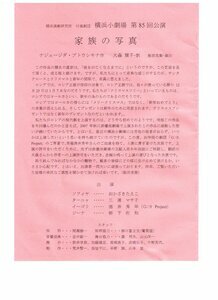 Full collection of translated plays please find here. 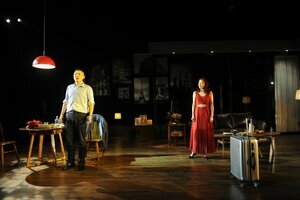 31 October 2016 Opening of a Ptushkina Nadezda's play "Tower of Pisa" had a place in a National Theatre of China, Pekin. Nadezda colloborate with China at present time. 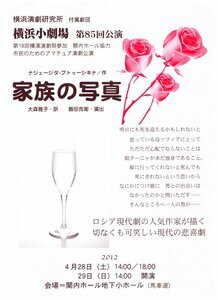 some of her play are translated and published in a journal Drama. 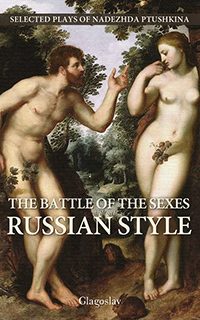 With name The battle of sexes, Russian style a playbook was released on 1th of August. Independent British-Dutch press Glagoslav Publications starts distribution by internet and bookshops in Great Britain, USA, Canada, Australia, New Zealand, Benelux. Current edition contains such famous Ptushkina's plays as I Pay Up Front, Somebody Else's Candlelight, Momma's Dying Again, My Goldfish and Rachel's Flute. Translated from the Russian by Slava Yastremsky and Michael M. Naydan. Stuttgart, Germany, 13 October, Opening of "Meschugge". 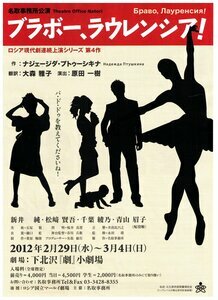 Opening by play "While she was dying", April, Yokohama, Japon. 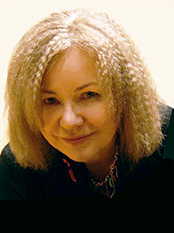 Translation library of Nadezda Ptushkina's plays incresases. The texts of plays in Polish has been added, translated by Zbigniew Landowski. Audio record of shows by plays "While she was dying" and "Somebody else's candlelight". Opening by play "Bravo, Laurencia! 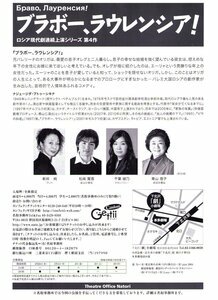 ", Tokyo, Theatre Office Natori. Translation Masako Omori. 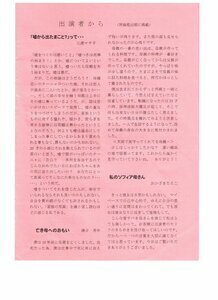 Play "Tower of Pisa" in Japanese, translated by Masako Omori. Play "While she was dying" in Japanese. "Пока она умирала". 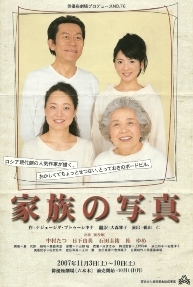 Play is on stage in Tokyo's theater (video), 2007 году. Translated by Masako Omori. Show in Tokyo, Japan, by play “While she was dying” ("Пока она умирала"). Opening was in 2007. Playbill. Play "Ненормальная" in French. Translation : Eugenia Remizova, Gilles Milloud - "Une femme etrange". Play "Ненормальная" in German, Michael Rybak's adaptation. This text can not be interpret as translation of Nadeshda Ptuschkina’s original play. "Meschugge". Some information in russian about a show in Stuttgart after this adaptation. 1 act (with English titles). 2 act (with English titles). 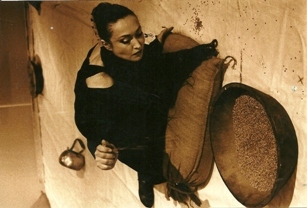 Show "Sixes" directed by Nadezhda Ptushkina (play of the same name), National Theatre of Scotland, Diaspora's work, Glasgow, Scotland. List (incomplete) of show by Nadezhda Ptushkina plays. Elizabeth T.Rich's article:"A star of Russian drama and theatre in the new millenium" about Nadezhda Ptushkina. 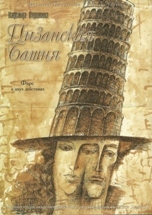 Play "Пока она умирала" in Italian "Finche ce vita...", by Paolo Emilio Landi. 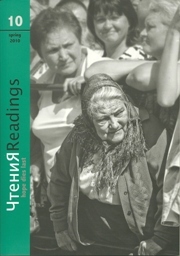 First act of play "While she was dying" is published in journal "Чтения" ("Readings") (English translation). Unfortunately the name of play was changed without to be agree with Nadezhda Ptushkina - "While She Lay Dying". Play's text translated to German "При чужих свечах" - "Fremdgut". Playbills, pictures, links of Nadezhda Ptushkina's creative work from the world over. Interview with spectators of "Strange woman" in Israel, Tel Aviv. Interview with spectators of show "Strange woman", directing and play by Nadezhda Ptushkina. Gediminas Taranda, Maria Petrova, Ilya Overbuh, Valeriya Lanskaya and others. Presentation of show "Strange woman", directing and play Nadezhda Ptushkina. The pictures of repetitions are here. 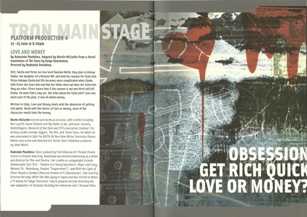 Play's text "Love and money" ("Шестерки") translated to English by Ekaterina Kamotskaia, Martin McCardie. The pictures of show "I want love so" by play "Strange woman", Stuttgart. Play's text in English "Strange woman", "While she was dying" - translated by James Donoher; "Advance payment"; "Rachel's flute", "Somebody else's candlelight" - translated by Slava Yastremski and Michael M. Naydan. "L'agnelle" - translated to French by Michael Politchuk. 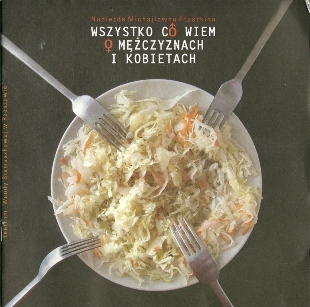 The pictures of show on Rzeszew, Poland "Everything what I know about our men and women".